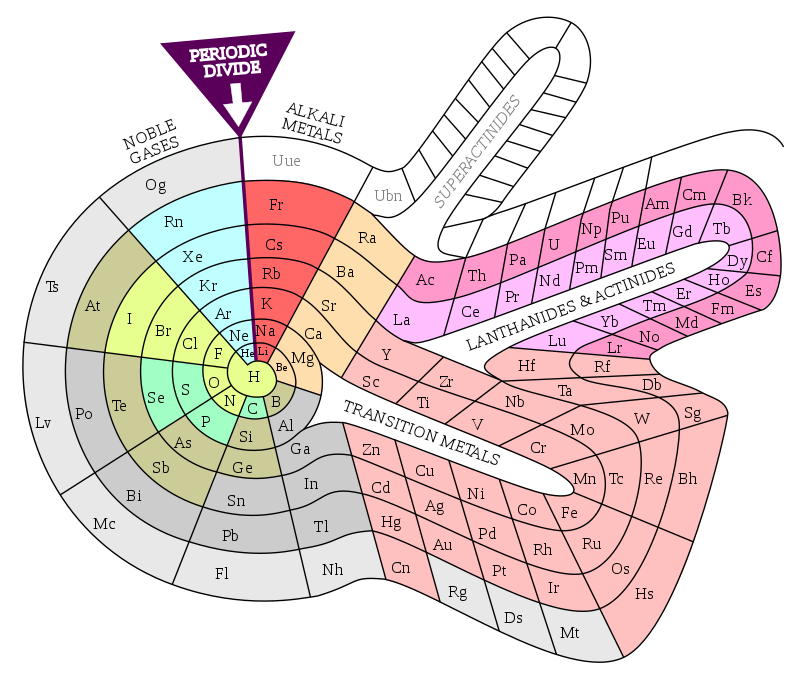 It may be helpful to have a periodic table to reference while listening to this show. In my opinion, the most useful one on the internet is freely available at PTable.com. 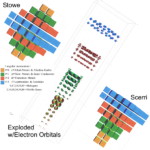 This has color coded 3D cut-away views of the spherical Schroedinger electron probability densities (making it 4D with 3D objects). CCA-SA by Jgmoxness. 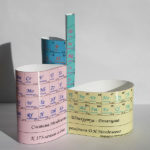 One of Mendeleev’s original tables is at the top of this page, and hundreds more are available at meta-synthesis.com. If you have any questions, thoughts, or anything you’d like to see in future episodes, leave a comment below! Dmitri Mendeleev might have received the most devastating college rejection letter of all time. At 16 years old, he had traveled over a thousand miles across the Siberian wilderness to apply to the University of Moscow. He was unquestionably bright, and clearly dedicated, but there was one problem: In 1849, Moscow was a politically turbulent place, and the university wasn’t comfortable admitting someone from so far away — no matter how smart he was. Mendeleev was denied admission. But he wasted no time lamenting this turn of events. Instead, he traveled 400 miles more, to try his luck at schools in St. Petersburg. His commitment was rewarded when the Main Pedagogical Institute of St. Petersburg accepted Mendeleev as a student — and gave him a full scholarship, too. These traits — his diligence, love of education, and sheer force of will — would be instrumental in making Dmitri Mendeleev not just a historic chemist, but the Father of the Periodic Table of Elements. You’re listening to the Episodic Table of Elements, and I’m T. R. Appleton. Each week, we’ll take a look at the fascinating stories behind one element on the Periodic Table. But before we start, let’s take a look at the table itself, and how it came to be. Along with a world map, the periodic table of the elements has adorned the walls of just about every classroom in the past hundred years. And those two make a pretty good pair: While a map can show every where in the world, the periodic table shows you every thing. That’s not an exaggeration. Everything you have ever seen, from the tip of your nose to the most distant star in the sky, is made up of some combination of these 118 elements on the periodic table. Nothing more, and nothing less. Everything in our lives is built from this modest collection of ingredients. The periodic table of elements is our best attempt at cataloging these ingredients. Atoms are placed in rows, left-to-right, in order of ascending atomic number. These rows are the periods that give the table its name. For example, hydrogen and helium make up the first period, lithium through neon make the second period, and so on. The columns, also called “groups,” are the clever part. Elements in any given group behave in really similar ways. For instance: The elements in the rightmost group, from helium down, are all gases without color, odor, or taste, and they barely interact with anything. Arranging the elements by similarity might seem obvious now, but in the earliest days of chemistry, it was anything but. 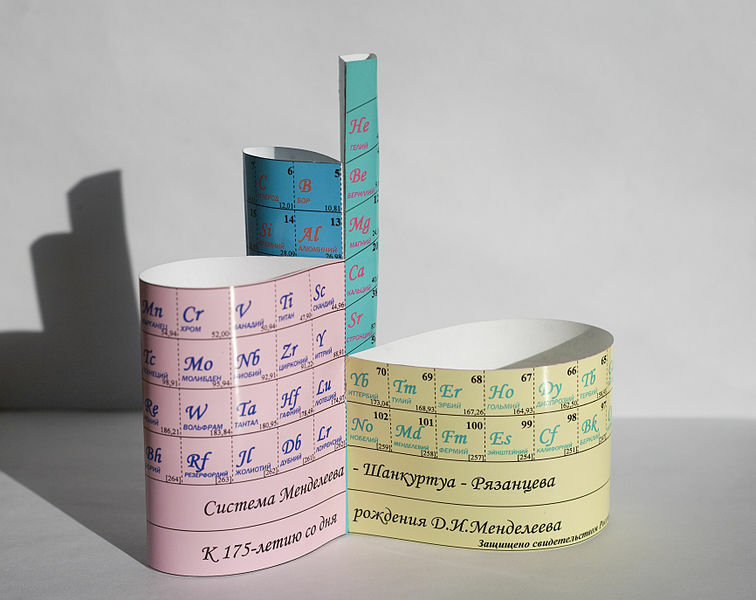 And arranging the elements in this particular way was exactly what solidified Mendeleev’s name in the history books. Now, it’s worth mentioning that Mendeleev was neither the only person nor the first person to notice that there seemed to be some sort of underlying pattern to the elements. At least half a dozen other scientists had hit upon the idea before Mendeleev, but being met with ineptitude, or skepticism, or even outrage, they became victims of bureaucracy, unrecognized for their contributions until several years later, if at all. In fact, this is such a common phenomenon that it has its own name: it’s called Multiple Discovery, and this tends to create a much less dramatic, but more accurate, picture than the one painted by more popular “Great Heroes of History” narratives. Our love of portraying progress as something accomplished by reckless loners on the brink of madness is simply not true. And in light of that, it would be irresponsible not to mention some of the other minds who were really only slightly less fortunate. And to be fair, his arrangement of elements was more comprehensive, and more accurate, than any that had come before it. He did two things differently from his predecessors The first: Rather than ordering the elements strictly by their weight, he primarily grouped them by their behavior, rearranging the elements to fit his theory without much justification. This was highly controversial at the time, but it turned out to be the right call. 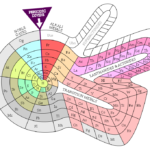 Secondly, he used this arrangement to predict the existence of several elements that had yet to be discovered, like gallium, and germanium, and scandium, as they would later be named. Now, a good scientist might revise his own work in light of this new information, or at least consider the possibility that maybe he’s wrong. But not Dmitri Mendeleev. No, he started a public feud. He insisted that Lecoq de Boisbaudran must have made some incorrect measurements. As an aside, not every French chemist has a name that seems deliberately difficult to pronounce, but they will feature prominently as we explore the periodic table. This is likely thanks to the French Society of Chemistry, one of the oldest chemistry societies in the world. The truth, however, is a little more nuanced than that. It usually is. First of all, there are hundreds of different presentations of the elements, each one emphasizing something useful for its particular audience. Some of these presentations are in 3D, or even four dimensions. My favorite is by a man named Theodor Benfey, and has the elements arranged in a spiral that helps emphasize the repetitive nature of the elements’ behavior. I’ll include some examples in the show notes at episodictable.com, if you’d like to see for yourself. But we’ll mostly be talking about the International Union of Pure and Applied Chemistry’s standard table — the one you’ve known since childhood. For as neat and orderly as it appears to be, it’s riddled with exceptions and controversy. Groups — again, those are the columns — show stronger trends than periods… except for the lanthanide and actinide rows, where it’s exactly the opposite. And if you’re looking at the metalloids, common properties don’t follow horizontal or vertical trends, but a meandering south-east diagonal line down the table. Element 74 is officially called tungsten, not wolfram, even though its symbol is the letter W. And where should hydrogen go, anyway? These ambiguities are not flaws in the periodic table, but the opposite. Courting controversy with every block that’s placed, the table reflects the values of the people who drew it and the times they lived in. In doing so, the Periodic Table is more than just an array of the chemical elements that build our universe. Inadvertently, it also shows off those elements that make us human. Thanks for listening to the Episodic Table of Elements. Next time, we’ll cover three quarters of all matter in the universe with hydrogen, and learn how you can start collecting fundamental bits of the universe for yourself. To read show notes and transcripts, comment on episodes, and learn more, visit episodictable.com. This is T. R. Appleton, reminding you to study foreign languages when it doesn’t matter so you can sound like you know what you’re saying when it does. Dmitriy Mendeleev: A Short CV, and A Story of Life. Eugene V. Babaev, Moscow State University.